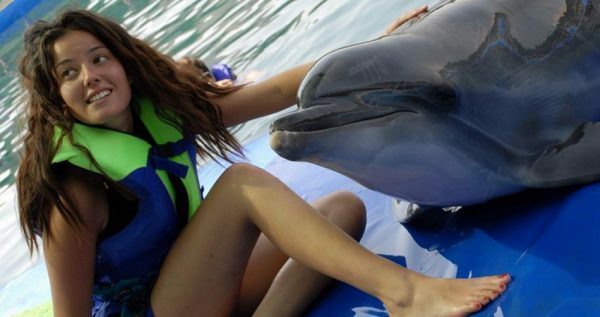 If you are looking for a totally new experince during you holiday then Icmeler Meet With Dolphins Tour is just the thing you need. These amazing animals will make you laugh and bring so much joy and happiness into your holiday this summer. From that very moment you play with a dolphin for the first time your life won’t be the same anymore, as these noble creatures will make you see the world differently. Once you meet them and realize that these lovely creature and see how friendly they are. Dolphins love interaction with humans, and are well known for high intelligence. In fact, they are as smart as apes, and their brains are very similar to human brains. They animals are very social and enjoy spending time with people. 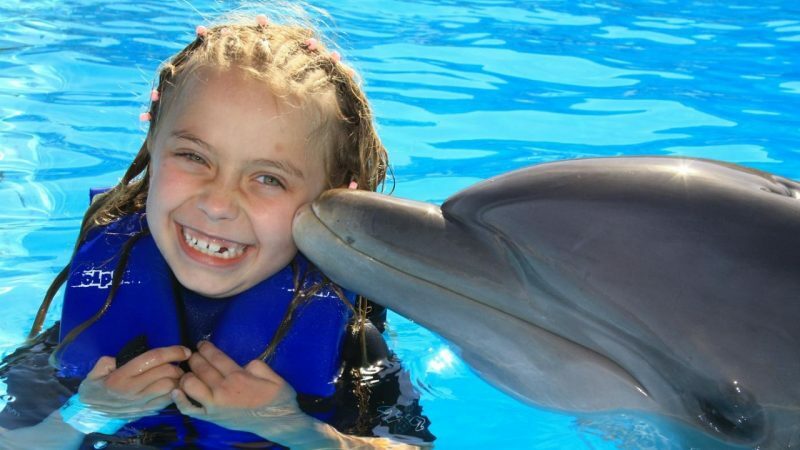 Meet the Dolphins Icmeler Tour gives you a chance to touch the dolphins, kiss them and watch them do their dance. 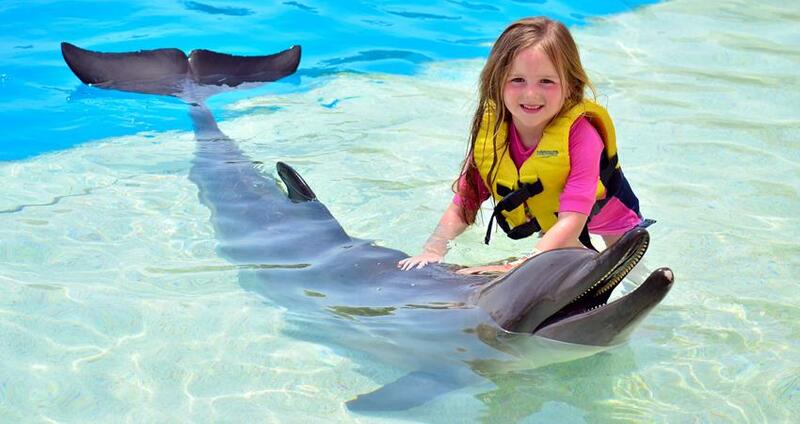 If you have opted for Icmeler as your vacationing spot, than you are in luck, as Dolphin park is only a couple of minutes away. 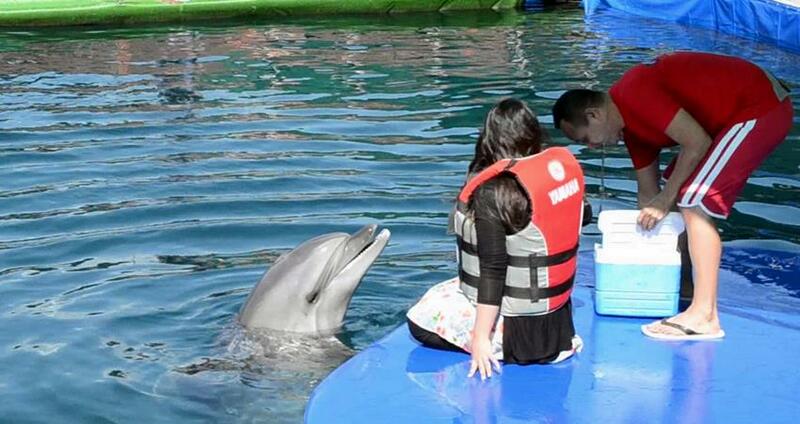 Our dolphin park is always open and you can visit it during the summer season. 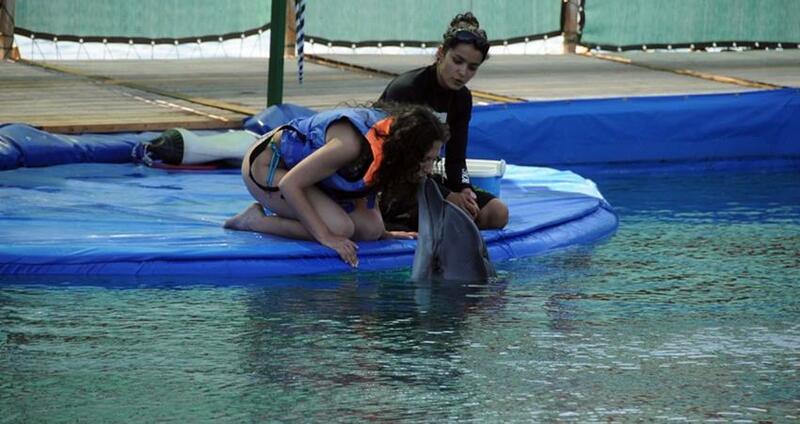 Our tour lasts around two hours which is more than enough time for you to fall in love with these terrific creatures. Package tour include transfers from your hotel to Dolphin Park and back, as well as entering tickets for the park and Icmeler Meet With Dolphins Program. You are not allowed enter the pool if you have put your sun cream on because it will wash off in water dolphins are swimming at. They are very sensitive and you have to behave according to the rules, which aren’t complicated and they are easy to follow. 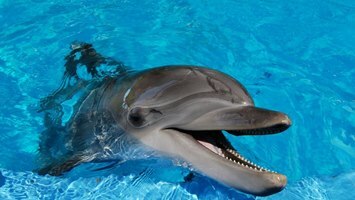 If you have been drinking alcohol, you should avoid any interaction with the dolphins as you may hurt them. 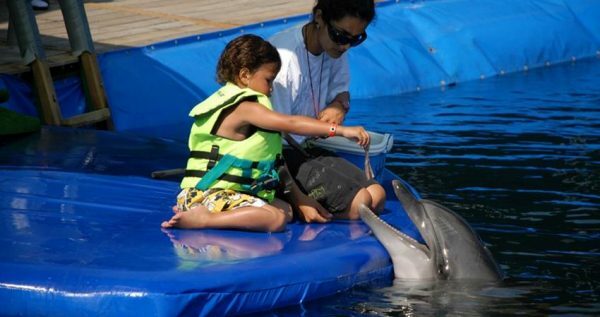 Children of all ages can enter the Dolphin Park, but children under the age of 3 aren’t allowed to participate in the activities with dolphins. So what are you waiting for? 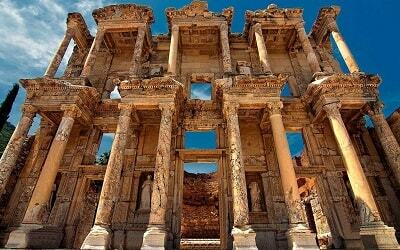 Book this amazing tour and bring back home some great memories! Towels, Swimsuits, Hat, Suncream, Sun Glasses, Camera. 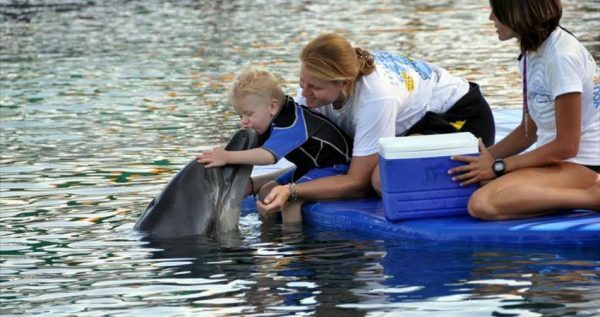 People Under Influence of Alcohol Can't Meet With Dolphins. Kids Under 3 Years Old Can't Meet With Dolphins. 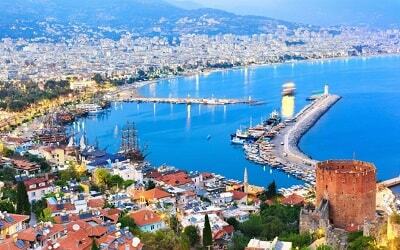 Marmaris Meet With Dolphins tour starts with a complementary pick up from your hotel in Icmeler, followed by a short and comfy drive to the Dolphin Park. 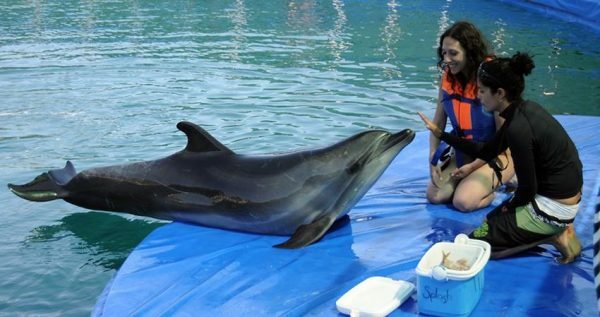 As Excursion Mania we offer you 3 different sessions, and you can choose the time that suits you best to visit the Dolphin Park. 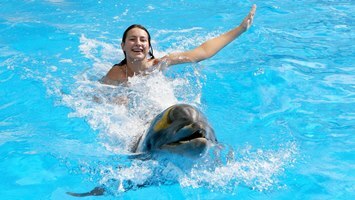 The entry fee to the park is included in the tour price and after you enter the park you will be welcomed by the Dolphin trainer. The trainer will tell you some basic rules and regulations that you will have to obey while you are in the park. 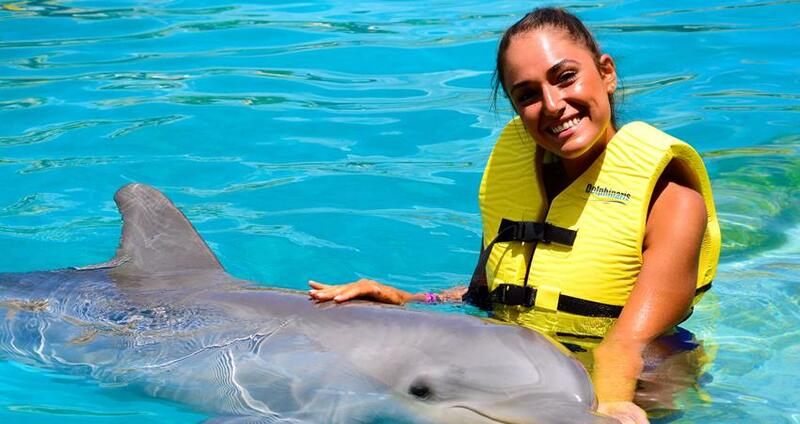 One of the most important rules is that you mustn’t apply any sun creams and lotions on your skin prior to meeting the dolphins, and you should always be gentle with them. The park has several changing rooms on its premises, and once you change into your swim suits, you will be provided with lifejackets. You should wear your lifejackets for you own safety. 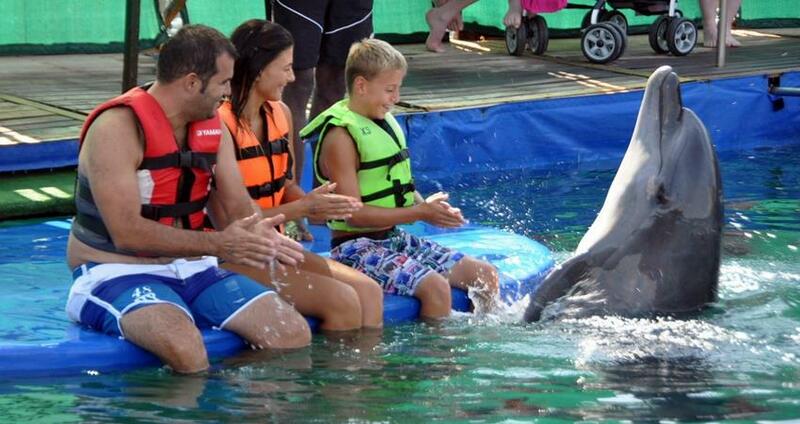 Once you are ready, you can go to the pool and meet the dolphins. There are platforms set next to the dolphin pool, so you can sit on them while you interact with the dolphins as our instructors tell you more about these amazing creatures. You will have the opportunity to feed them, play with them and watch them do some tricks. This fun get-together lasts for 30 minutes. While you are busy playing with the dolphins, our professional photographer will be taking pictures and videos of your interaction. Once your session with the dolphins is over, you will be able to buy a DVD with your adventure on it. 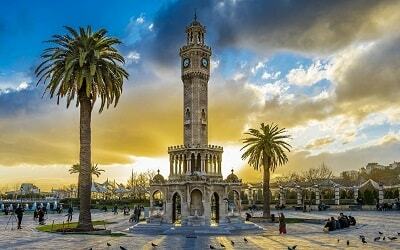 Once the tour end, our driver will take you back to your hotel in Icmeler. 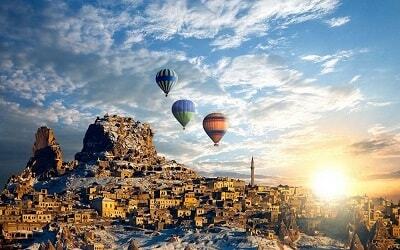 This transfer is free of charge, because it is included in the tour price. Please also read Icmeler Swim With Dolphins program.